The first case of the so-called Spanish Influenza in the United States originated at Boston’s Commonwealth Pier on August 28, 1918.2 On September 3, it landed in nearby Brockton, Mass., where the disease became widespread by the middle of the month. 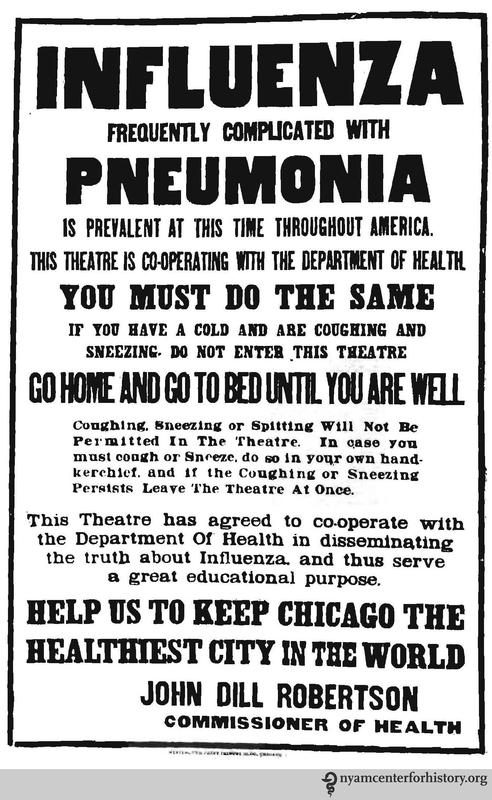 A poster from Chicago’s Public Health campaign, presumably released prior to the Health Department closing the theaters. In addition, Chicago and other cities banned public funerals. In Chicago, only 10 mourners, not including clergy, could attend for fear of spreading the disease from the family of the deceased and through contact with infected premises. A selection of captions from Chicago newspapers. While the current flu outbreak does not compare to the 1918 pandemic, we can learn from earlier experiences. Cover your mouth, do what you can to avoid contact with sick people, and be grateful that you can get vaccinated. 2. Burrill, E. A. (1918). 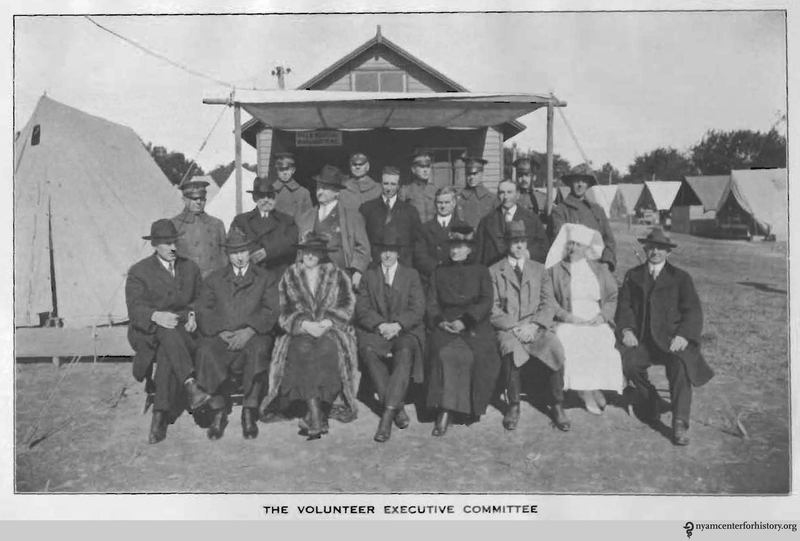 The story of Brockton’s fight against influenza. Brockton: Press of Nichols & Eldridge. 3. Robertson, J. D. (1918). 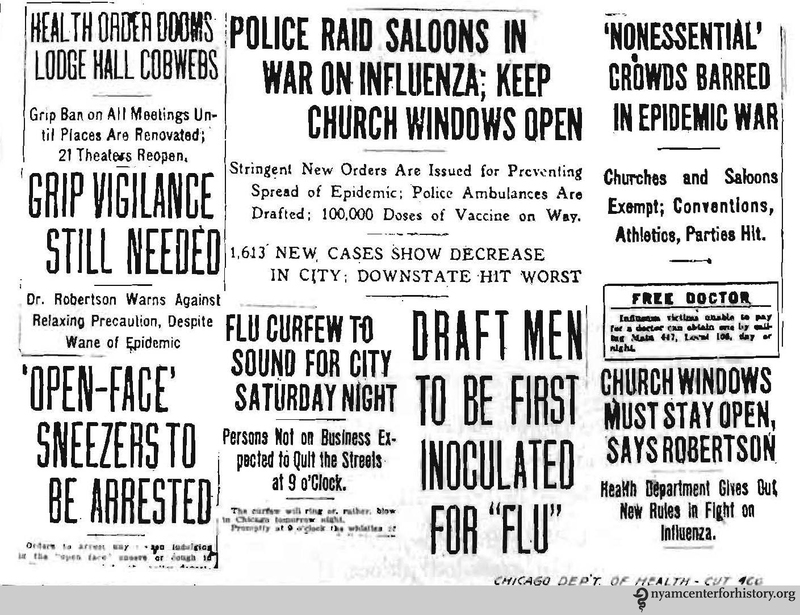 A report on an epidemic of influenza in the city of Chicago in the fall of 1918. Chicago: Dept. of Health. This entry was posted in Collections, History of medicine and tagged flu, health, history of medicine, influenza, public health, Spanish flu, vaccination by nyamhistofmed. Bookmark the permalink. Fascinating outline! I look forward to catching up with earlier posts. Really interesting post, I love the fruit being borne image. The history is fascinating! So glad you stopped by and that we have connected!